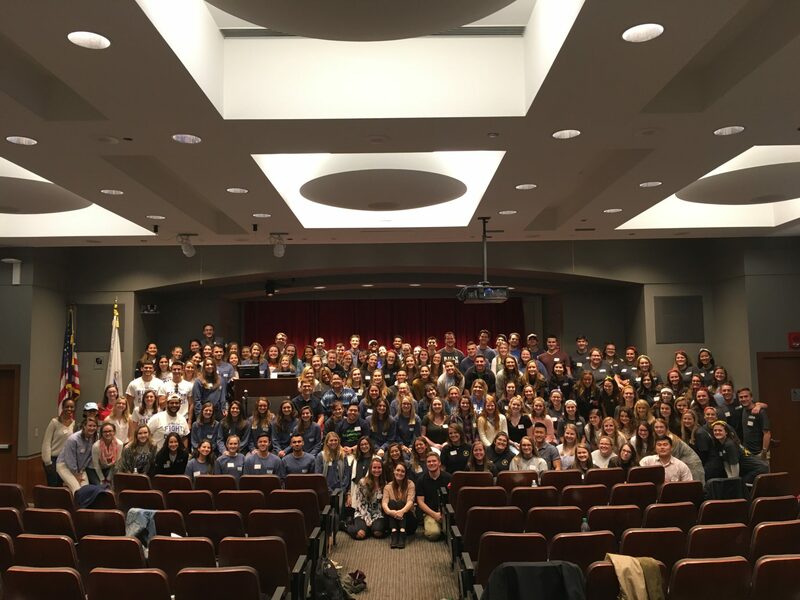 On September 30th, 179 students from 26 colleges and universities benefiting nine Children’s Miracle Network Hospitals came together for our fourth annual Boston Collaboration Meeting. This event brought together students, university advisors, program directors and national staff. 95% of respondents indicated that the topic areas and information were moderately, very, or extremely relevant to their overall Dance Marathon strategies. 73% of respondents had previously attended a Dance Marathon Collaboration. Thank you to Bay Path University, Boston College, Boston University, Bowdoin College, Brandeis University, Central Connecticut State University, Elmira College, Emmanuel College, Harvard College, Hofstra University, Nichols College, Quinnipiac University, Stonehill College, Trinity College, Tufts University, University of Massachusetts – Amherst, University of Massachusetts – Dartmouth, University of Connecticut, University of Maine, University of New Haven, University of Vermont, and Wheelock College for being a part of this generation fighting for the next.